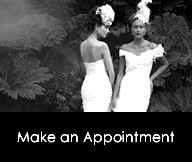 Extraordinary designer wedding dresses, veils, shoes, garters and wedding jewellery. It is all here. If you really want to get your skin in top form, you’ll need to start a smart skincare routine about a year in advance. It’s okay if you don’t have that long before the wedding day — just adopt these good skincare habits as soon as possible. No matter what your skin type is — oily, dry, normal or combo — it craves water. Sure, drinking water helps, but snacking on watermelon works too. Other super foods for your face: grapefruit, broccoli and lettuce. Here’s a secret most dermatologists will tell you: Don’t use a washcloth on your face. Washcloths can harbor bacteria. Instead, use just your hands. But first, use a separate makeup remover to tackle waterproof mascara and long-wearing lipstick. A mask isn’t meant to replace your daily face-washing routine; it’s only mean to enhance it. If your skin is oily, use a mask every other day. If you have dry skin, once or twice per month should keep oil and dirt from building up. We want to give it to you straight, so first, the bad news: You can’t actually change the size of your pores. The deeper a pore is, the bigger it looks on the skin’s surface. The good news: You can minimize the depth of your pores to make them seem smaller. Here’s how: Chemical peels will exfoliate layers of bad skin and minimize pore surface. Your wedding is the perfect excuse for some extra pampering. You’ll want to book monthly facials to really refresh your skin. Experienced aestheticians will massage your skin, scalp and decolletage to stimulate blood circulation and keep your skin looking pink, not sallow. You can also request extractions. This is when your facialist gets all the dirt out of your pores. The process takes preparation and special techniques that, if done at home, can lead to irritation, or worse, scarring. This is the one thing most brides forget about. Add a bath to your weekly routine and throw in bath salts with sodium bicarbonate. The sodium bicarbonate will break down dry patches and make your skin a sponge for moisture. For really tough patches, ask an aesthetician to put a glycolic peel on your elbows when you go in for a facial. For oily skin: You don’t want to add much more moisture, but you do want to hydrate. Look for ingredients like hyaluronic acid or ferulic acid, both of which help your skin maintain water. For dry skin: Stick with the hyaluronic acid or ferulic acid, but don’t worry about finding an oil-free formula. Your skin craves moisture. For breakout-prone skin: Choose a moisturizer that’s noncomedogenic. It should say so on the bottle. For sensitive skin: Your go-to is a fragrance-free product. Peels are designed to slough off dead skin and bring new, fresh skin to the surface. To make the most of these spa treatments, you’ll want to book a series of peels. Start with six different sessions, each two weeks apart (so skin has time to recover). This secret weapon acts like a barrier to lock in water and keep your skin hydrated. We’re not suggesting you raid the kitchen pantry (though you can find it there); instead, search for safflower oil in moisturizers and scrubs. It’s easier to prevent your lips from getting chapped than it is to repair them if they’re already dry and cracked. If you spend lots of time outdoors, especially in windy, sunny or cold weather, a thick balm with SPF 30 will keep your lips hydrated. Every time you swipe on your blush with a dirty brush, you add a layer of acne-causing bacteria to your skin. Cleaning your brushes is easy: Just suds them with shampoo, rinse them and hang them to air-dry with the bristles facing down. It will make your makeup colors truer too. In many cases, dark under-eye circles are hereditary. So the only way to reduce their appearance is with makeup. Start with an eye cream that has light diffusers, which reflect light to make the eye look brighter. Then, use concealer only on the dark spots. Look for one that matches your skin tone exactly, not one that’s a shade lighter– that can make your attempt to conceal even more noticeable. Remember to dab lightly to avoid tugging on delicate eye areas. Whether you apply your foundation with a brush, a stick or a sponge, you should blend it in using your fingers. Put a dime-size dollop of moisturizer on your fingers, rub them together and start blending. The extra moisture will keep your foundation and skin from drying out and will make your complexion look soft and dewy. Unlike with foundation, your final layer of concealer isn’t meant to be totally blended. Dab it right where you need it with a pointed brush. Then, use your finger to pat the perimeter until it’s smooth.